Protasis presents the new work of the internationally known cardiologist doctor Thanasis Dritsas named “Stin akri ton paramithion”. 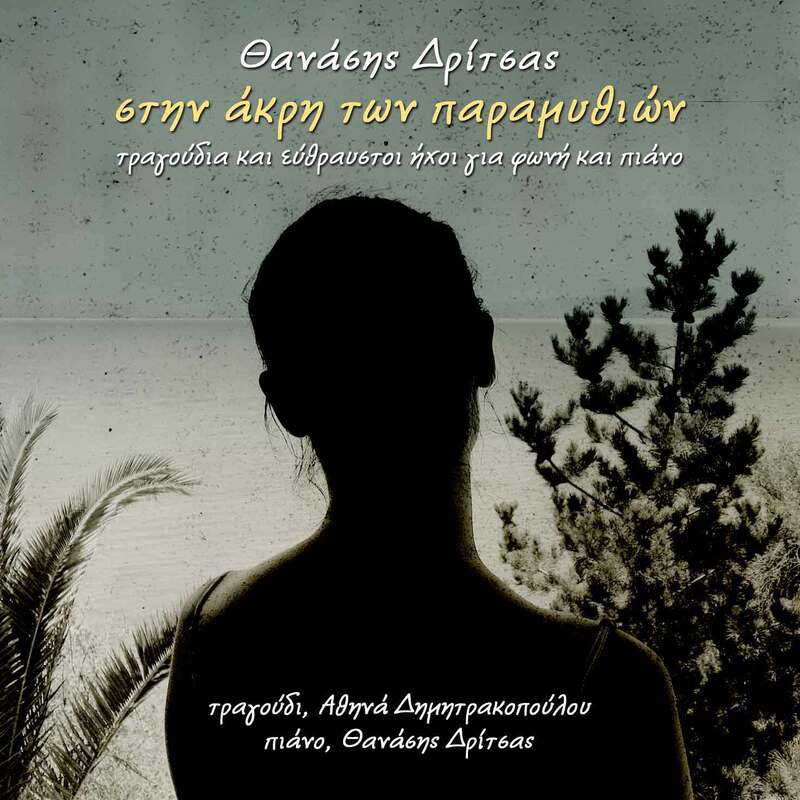 This CD is about a song cycle, and the lyrics have been written by Odysseas Elitis, Eleni Horeanthi, Eleutheria Zampetaki-Dritsa, by the composer himself and by the famous archaeologist and fairy- tale writer Christos Mpoulotis. This cycle was presented in Thanasis Dritsas’ concerts in the Athens Concert Hall and in the Thessaloniki Concert Hall with great success. The composer also plays the piano, that accompanies the very promising lyrical singer Athina Dimitrakopoulou.